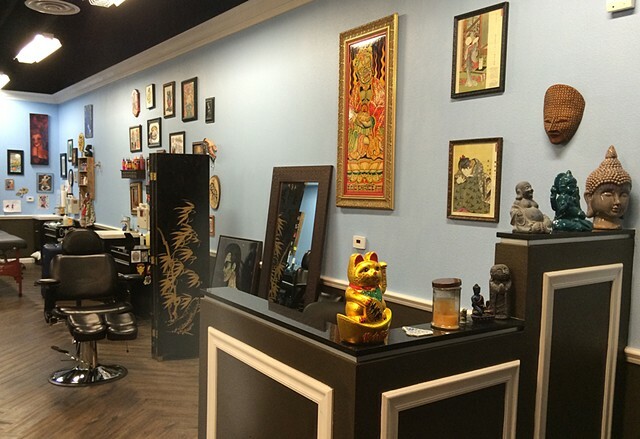 Blue Buddha Tattoo was opened in October 2014 in West Las Vegas, NV and is home to a diverse family of artists. It is owned and operated by local female tattoo artist Valerie Noda (formerly Logue) as well as Las Vegas veteran tattooers Josh Petty, Jake Ballew, Daniel Cueto, Jonny 5, and John Bates. Our artists are professional, experienced, knowledgeable, and friendly and can accommodate any style of tattoo art from Japanese & American Traditional to portraiture and realism. We now proudly offer our own in house microblading artist for the cosmetic tattooing of eyebrows, by Janette Mattingly. At Blue Buddha Tattoo we are devoted to creating a great and memorable tattoo experience and establishing long term relationships with our clients. We work together to make sure you get the best possible artist for the job to ensure 100% satisfaction with your permanent artwork. We offer custom original artwork, ranging in any size and placement. Sorry, we do not offer piercing services or apprenticeships.